Fisher-Price Recalls Rock 'N Play Baby Sleepers : Shots - Health News The Consumer Product Safety Commission says it identified a rollover hazard and that people should stop using the sleeper immediately. More than 30 deaths have been attributed to its use. Fisher-Price has recalled its popular Rock 'n Play sleeper, after the Consumer Product Safety Commission confirmed that least 30 babies' deaths were linked to it. 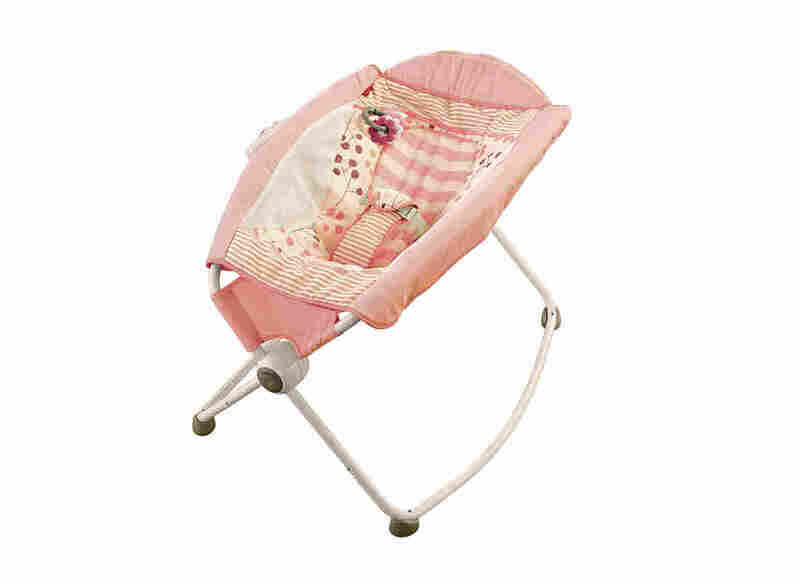 Fisher-Price has issued an immediate recall of all models of its Rock 'n Play baby sleeper, according to a news release from the U.S. Consumer Product Safety Commission. 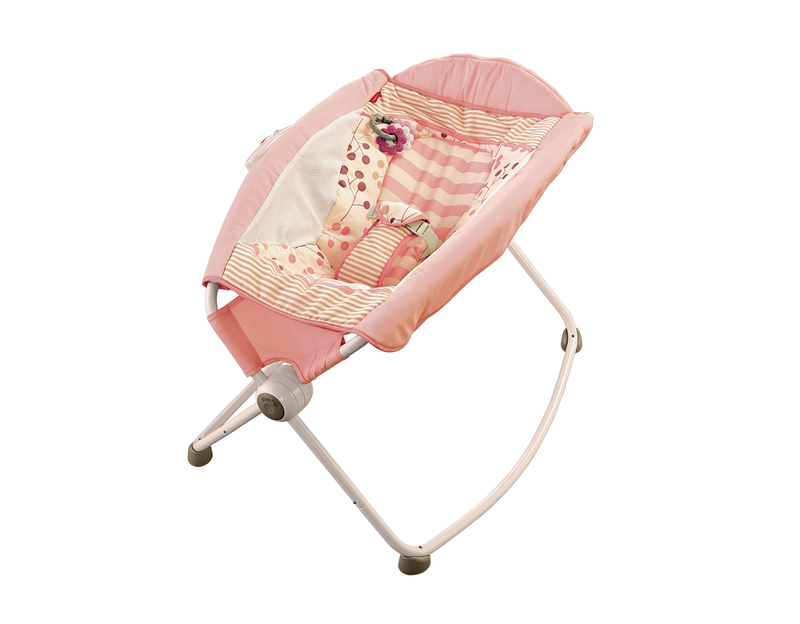 Fisher-Price, which has sold approximately 4.7 million of these sleepers, is advising that consumers stop using the product immediately and contact the company for a refund or voucher. "Since 2009, there have been more than 30 infant deaths involving the Rock 'n Play," the commission's acting chair, Ann Marie Buerkle, said in a statement. "This issue has been a top priority for the agency. CPSC has been investigating incidents and analyzing the data regarding how they relate to this product. In addition, CPSC is continuing our investigation into other inclined sleep products." Fisher-Price General Manager Chuck Scothon said in an emailed statement that the company "stand[s] by the safety of our products." "However, due to reported incidents in which the product was used contrary to the safety warnings and instructions, we have decided to conduct a voluntary recall of the Rock 'n Play Sleeper in partnership with the Consumer Product Safety Commission," he wrote. On Wednesday, the federal agency tasked with regulating consumer products said it had "identified a hazard with rollover issues," in which babies move onto their stomachs or sides and can't return to their back. That same day, Scothon defended the product in an emailed statement, saying the company "stand[s] by the safety of the Rock 'n Play Sleeper," which he said meets all applicable safety standards. But on Friday, the company reached an agreement with the CPSC to recall the product. Earlier in the month, Fisher-Price and the agency had jointly issued a warning recommending that consumers stop using the sleeper by the time their babies are 3 months old or when they begin to be capable of rolling over. Now they are advising that parents immediately stop using it. An investigation by Consumer Reports found that the sleepers were tied to the deaths of 32 babies. According to the report, the deaths can be traced back to the crib's inclined design. "If the baby's head falls forward or to the side it compresses the trachea and that limits the oxygen that they can take in," said Rachel Peachman, a deputy of special projects at Consumer Reports and author of the investigation. "We believe that it is not a safe product for parents to use for infants of any age, and the safest thing to do is to recall the product immediately." The American Academy of Pediatrics called for a recall of the product. Ben Hoffman, a pediatrician and member of the American Academy of Pediatrics' Committee on Injury, Violence and Poison Prevention, said he has had "significant concerns" about the Rock 'n Play sleeper for a long time. "We know the safest place for a baby to sleep is on a flat, firm surface," he said. "It's not safe for a baby to sleep at an angle, whether it's a car seat or a swing." Hoffman said he has found Rock 'n Play sleepers to be "incredibly popular" with families he works with, who believe that the incline can help babies who have trouble sleeping owing to acid reflux. According to Fisher-Price's website, this is exactly how the idea for the Rock 'n Play originated — a mom looking to make a product that would allow her spit-up-prone baby to sleep through the night. But Hoffman said studies have shown sleeping at an angle can actually make reflux worse for babies. Combine that with the risk of suffocation, and Hoffman said the Fisher-Price product "is just not a safe sleep environment." "I would urge every family that has one to never use it again," he said. "That's why [the AAP] feels ... a recall is really important."